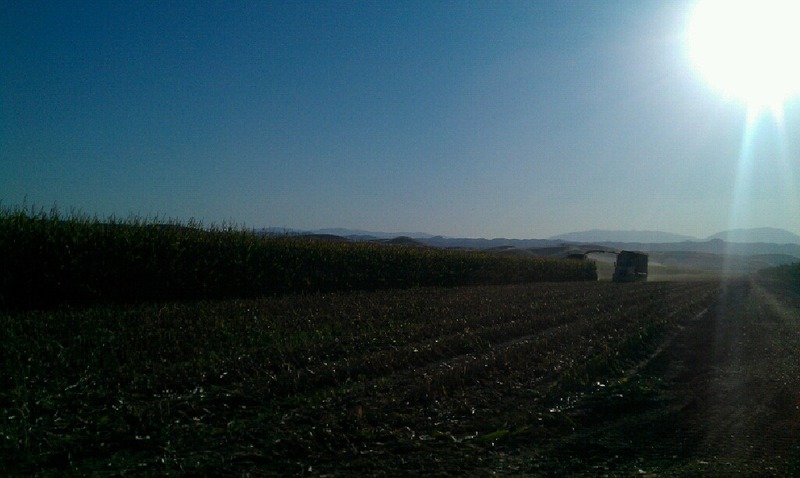 Every year during the summer, here on the dairy we are busy growing corn for the cows. Corn would probably be the staple food of our dairy cows. A lot of people today criticize animal agriculture for using corn. The argument being that with all the corn that cows consume, instead of feeding it to cows, we could use the corn to feed people instead. The argument seems to make sense at first, but when you look at the bigger picture, you find that they are forgetting something. When we feed the corn to cows, we don’t just feed them the corn cob. We feed them the entire stalk (the whole plant). 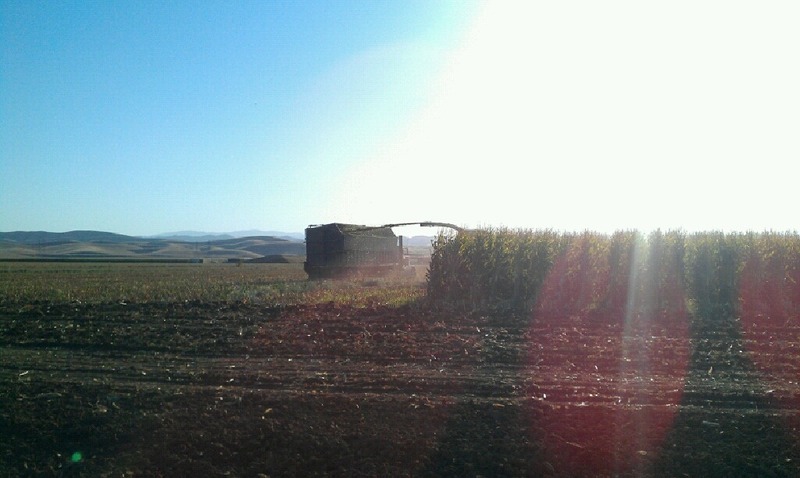 The entire corn plant is cut up, and put into a pile. 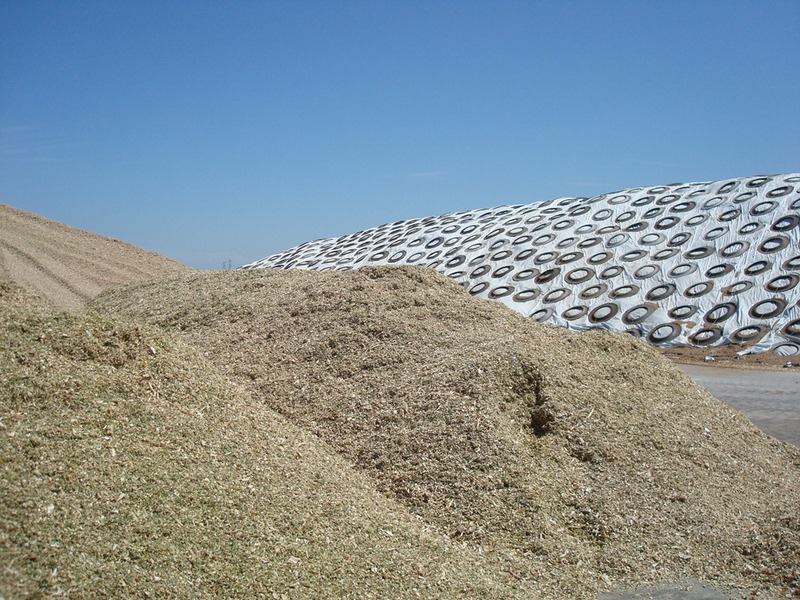 The pile is packed by a large tractor that compresses the pile to eliminate oxygen from the pile. Oxygen = spoilage. 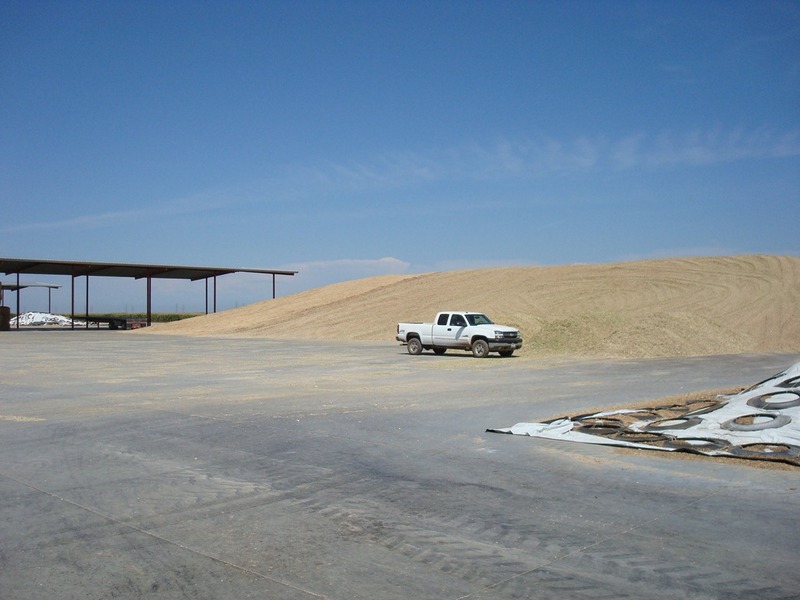 The pile is covered, and it ferments so we have a feed source that is available all year around. The cow is able to digest the entire corn stalk, something people cannot eat. So the cow actually is converting a product indigestible by people, into a high quality food product rich in protein. 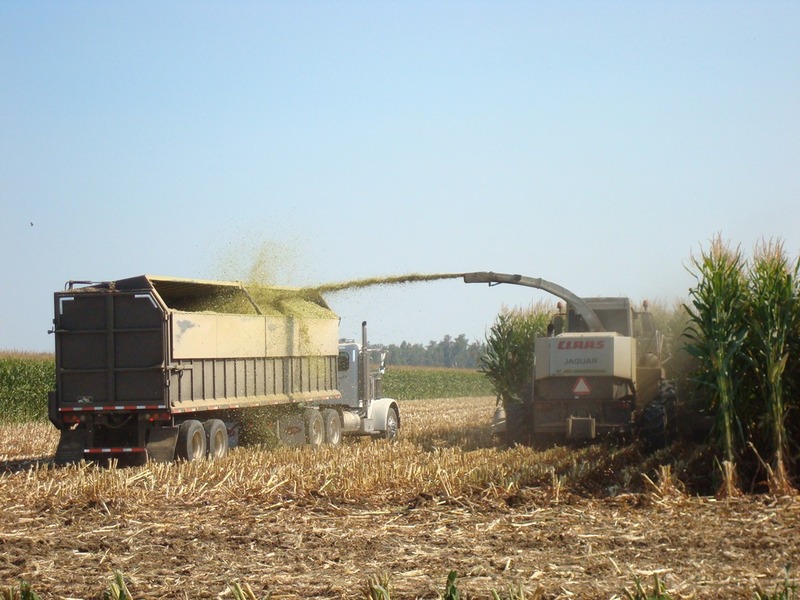 Corn is a very environmentally friendly crop as well. 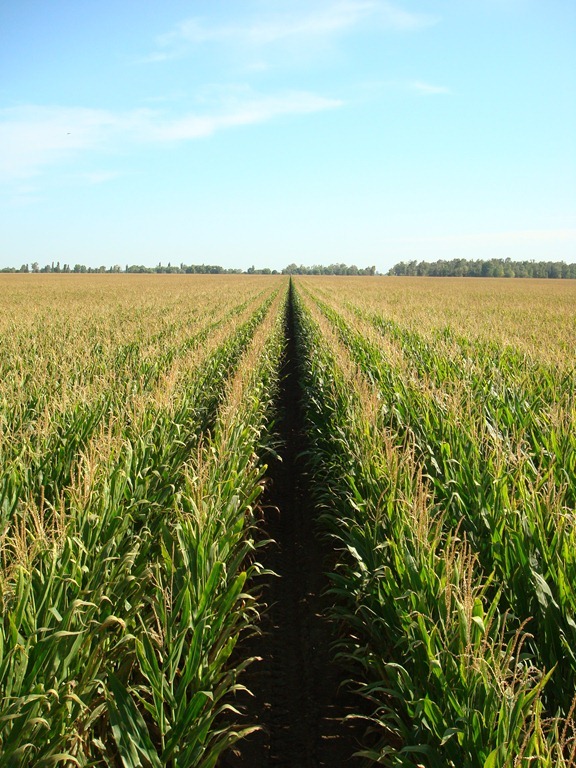 Corn is like grass, but grows much taller. 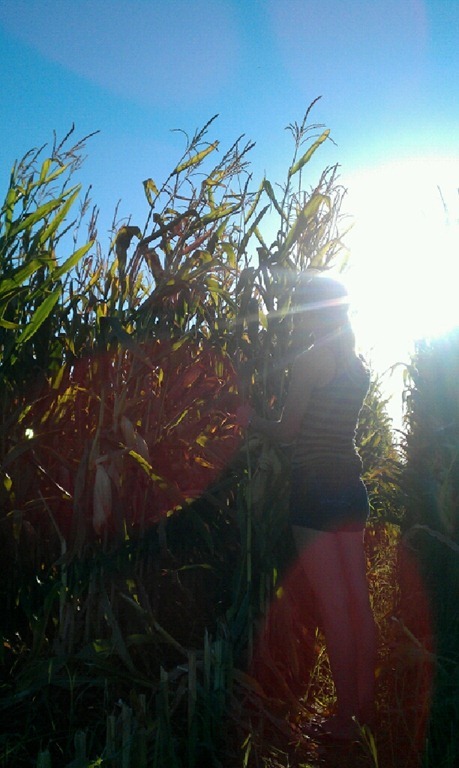 Because corn grows quite tall, you get a lot of food per acre of land. So compared to grass, we can grow more food per acre which uses less natural resources. 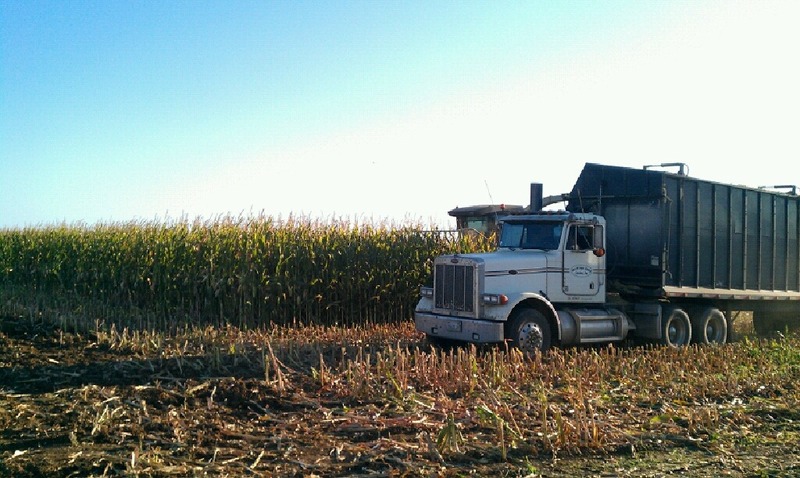 So we have been busy here on the dairy, chopping this year’s corn crop. I took some pictures around the ranch of what is going on. 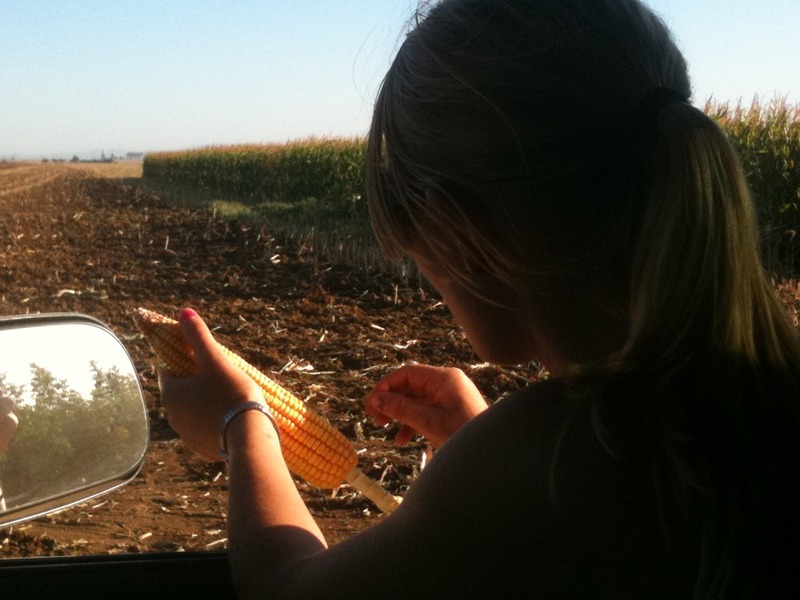 Before we started chopping, my sister checked the corn to make sure it was ready to chop. When harvesting the corn it’s important to make sure it’s ready!